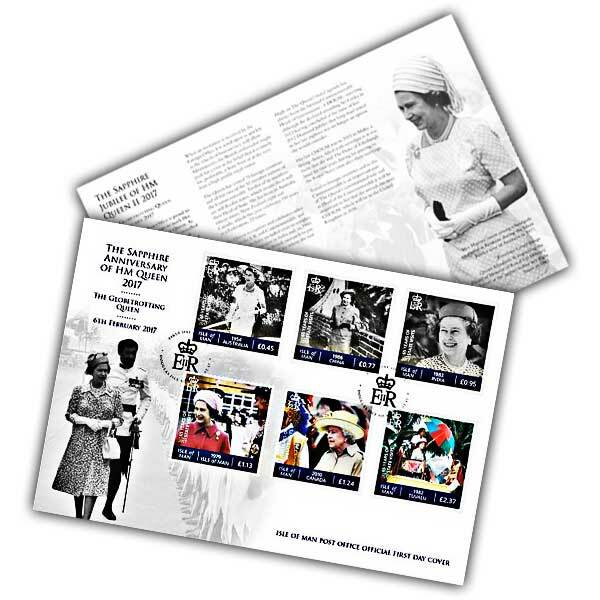 The full set of stamps for HM Queen's Sapphire Anniversary sit beautifully on this decorative envelope. The stamps on this cover are cancelled with a unique postmark for the very first day of release. The filler card within the envelope includes issue text composed by Dickie Arbiter, HM Queen's previous press secretary. 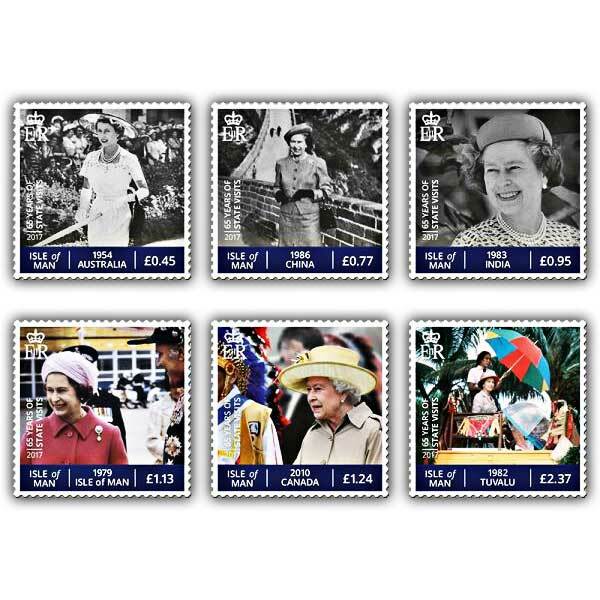 There is likewise an extra image of Her Majesty on a trip to Australia not included on the stamps.